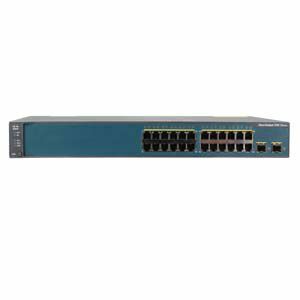 The Cisco Catalyst 3750V2-24PS Switch is next-generation energy-efficient Layer 3 Fast Ethernet stackable switch. This new switch supports Cisco EnergyWise technology, which enables companies to measure and manage power consumption of network infrastructure and network-attached devices, thereby reducing their energy costs and their carbon footprints. The Cisco Catalyst 3750V2-24PS consumes less power than its predecessors and is the ideal access layer for enterprise, retail, and branch-office environments, as it increases productivity and investment protection by enabling a unified network for data, voice, and video.